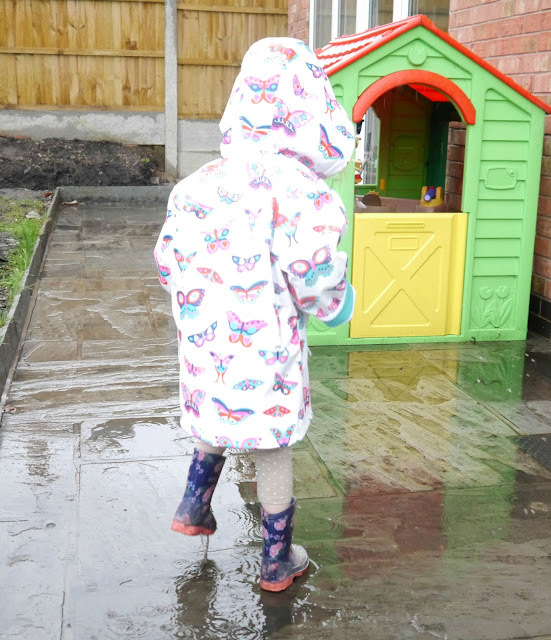 I love this time of the year, Spring is fast approaching and the promise of longer, warmer days is on it's way but we do tend to get a lot of rainy days around this time which means the kids can get a little bored staying indoors. However rainy days don't need to mean boring days, if your kids love to play outside then all they need are some waterproof clothing and they're good to go and for that Hatley have got you covered. They sell a beautiful range of rain wear for girls and boys to keep them dry on rainy days. There are matching raincoats, umbrellas and wellies for children of all ages and the quality is amazing. 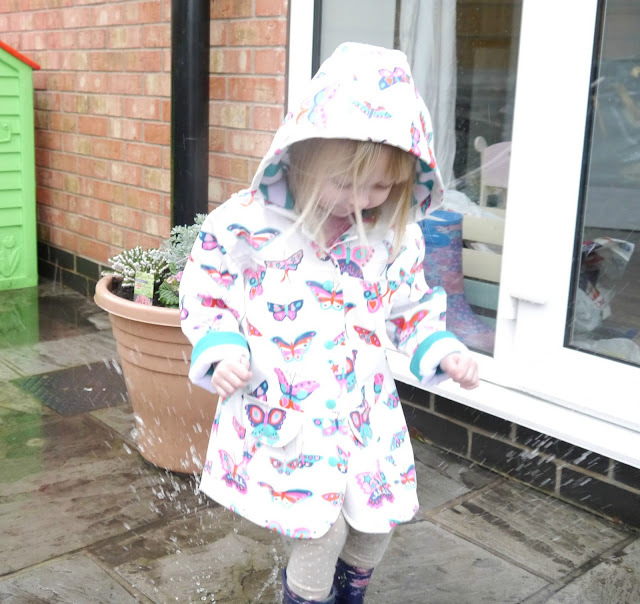 We gave one of the rain coats a thorough test in the rain and it kept Summer nice and dry and also warm too. It's easy to get on and off with it's snap closures and it has little pockets perfect for storing gloves. I absolutely love the designs of all the Hatley rain wear, they're so colourful and cheery, perfect for brightening up a rainy day. 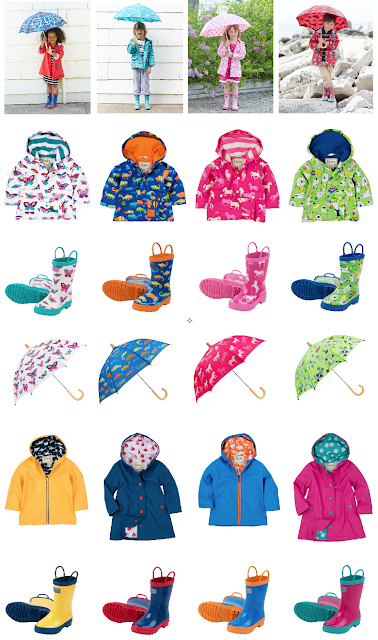 Pop over to the website www.hatley.com to see more of their gorgeous clothing, swimwear, sleepwear and outerwear. 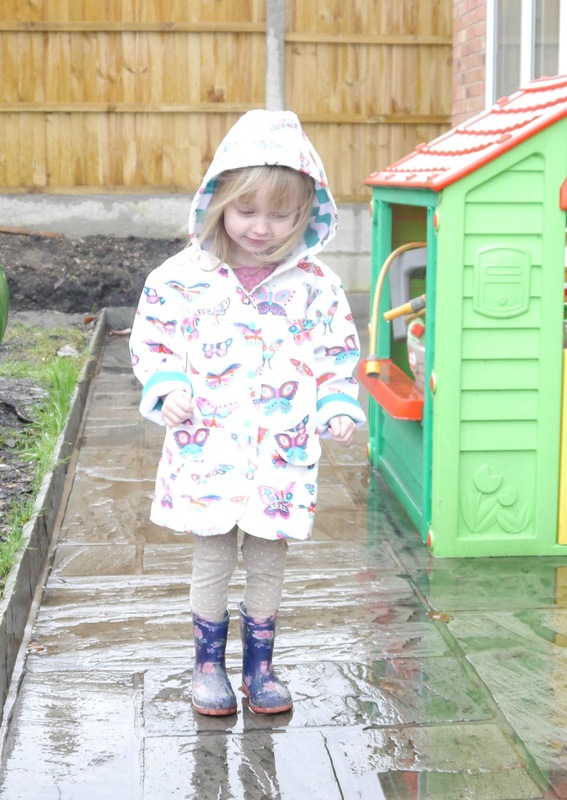 Bless her - she is adorable and her little raincoat is so sweet! Always lovely to see children jumping in the puddles and having fun! Lovely items. Children love rainy days. I would love a winter coat like that for myself haha! 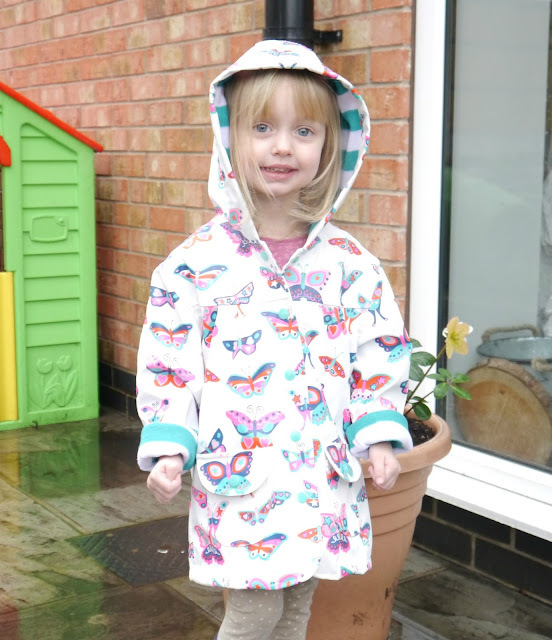 Lovely raincoats, I wish they came in my size!! Lovely items. 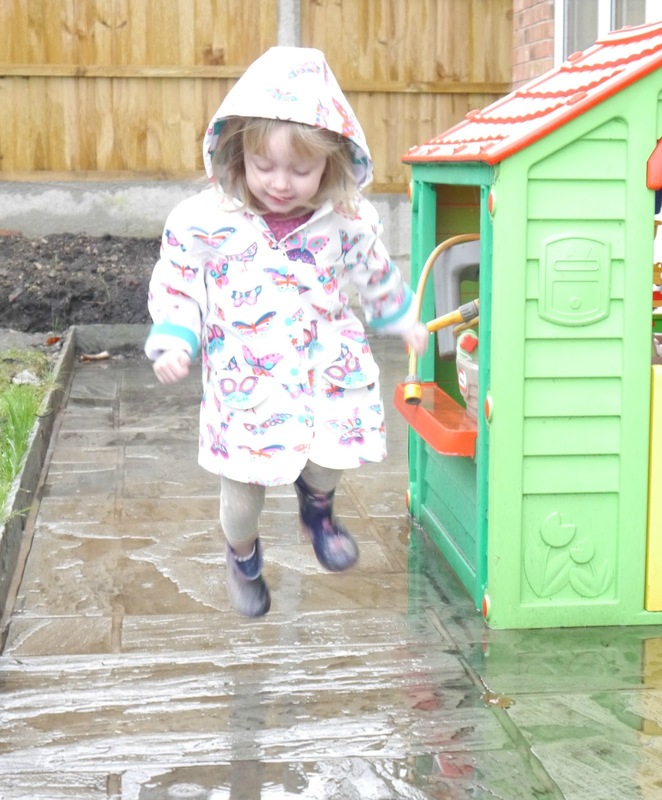 My children love rainy days too, puddle jumping is a must :). WOW, IM IN LOVE WITH THAT BUTTERFLY COAT!! These look great, and fun! Awesome range. Love to be introduced to new clothing range. I love the little handles on the wellies to help them pull them on! Love Hatley designs. Wonder if the wellies come in a size 4 baby? Love the bright and jolly colours and designs.Great to cheer up a rainy day. Fab coats love the dark blue with creatures on it, looks great with wellies. This does look like rainy day fun!